Jose created a new topic ' 1971 Ex-Military Series IIA for sale $10000' in the forum. Jose replied to the topic 'Disco 1 Rock Sliders' in the forum. Jose thanks user 'Javelinadave' in the forum message ' Defender 90 Forward Facing Rear Bench w hardware'. 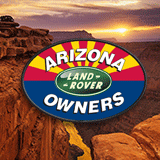 Jose replied to the topic 'Used ARB Disco 1 with 10,000 Warn Winch' in the forum. Jose created a new topic ' Defender 90 Forward Facing Rear Bench w hardware' in the forum. D90 forward facing rear bench, pivots forward for extra storage in back. $500. Located in Tucson. Good shape, small rip in fabric in the lower back.